Belmont hasn’t grown much since the 1950s and is still well known for the ritzy Belmont Hill mansions. 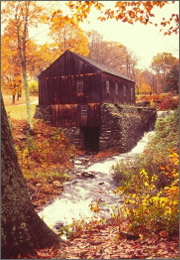 This Middlesex County city is a Boston suburb that has converted its commercial greenhouse land into municipal parks such as the 60 acre Beaver Brook Reservation. Belmont also has great shopping; along the main thoroughfare you will find the Belmont Center as well as Cushing and Waverly Squares filled with Belmont shops and specialties. Lawyers in Belmont are some of the most reliable in Middlesex County specializing in Bankruptcy, DUI, real estate, employment law or any legal matter you may face. Recently in Belmont, Middlesex County Superior Court Judge Diane Kottmyer readmitted prisoners released from jail on a GPS home arrest program. The prisoners were released by the Belmont sheriff, but sent back by Kottmyer who decided that the prisoners, specifically a repeat Belmont DUI offender she had sentenced, had not completed their sentences and deemed the GPS monitoring system unacceptable. The Massachusetts Superior Judicial Court ultimately decided that it was permissible for the Belmont sheriff to release prisoners under the GPS home arrest program. Belmont lawyers are familiar with the Middlesex County court proceedings. If you have a legal issue in Belmont, you will likely be filing with the Middlesex County Superior Court in Cambridge. The Middlesex Superior Court in Massachusetts handles criminal and civil cases. Housing, probate, juvenile, and family cases are relegated to trial courts. It is important to have a lawyer in Belmont that will be able to navigate the Middlesex County legal system. LegalMatch can help pair you with the best Belmont lawyer available. By entering a brief synopsis of your legal predicament, Belmont lawyers are able to review your case and quote prices. All LegalMatch lawyers are guaranteed to be bar certified and ready to help people with legal matters just like yours.